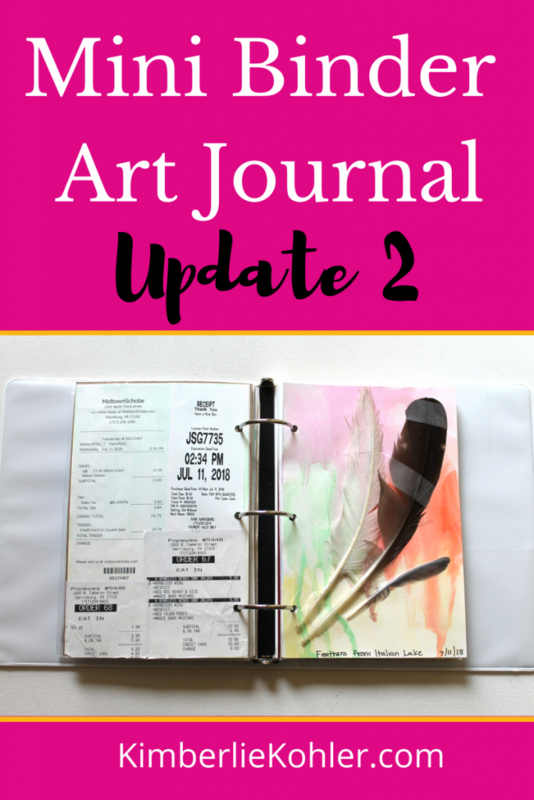 I’ve been using my Mini Binder Art Journal for a couple of weeks now, and I have an update for you today. 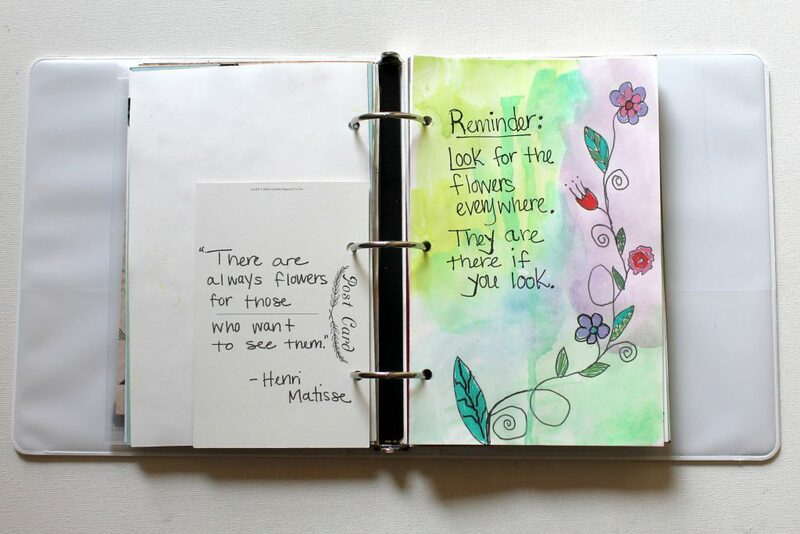 I’m loving the freedom of this art journal and it’s really inspiring my creativity. 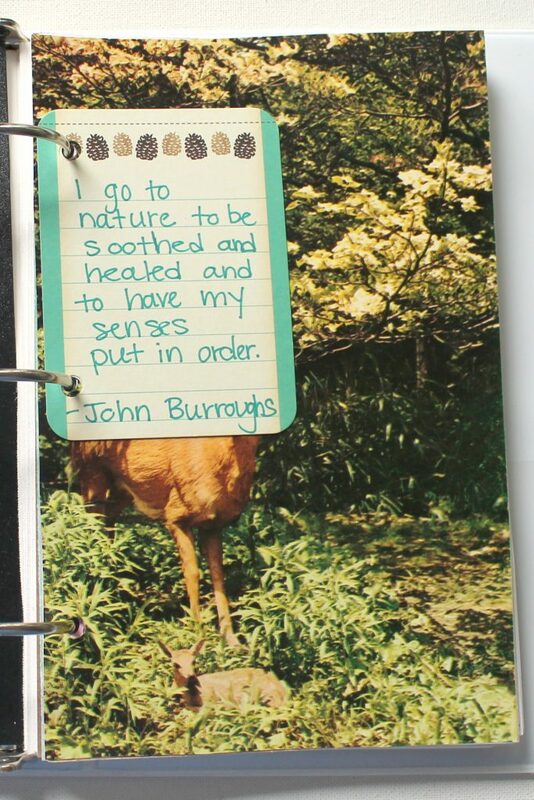 I love that I can add in little things that just delight me like postcards or Project Life cards that I love anywhere I like. 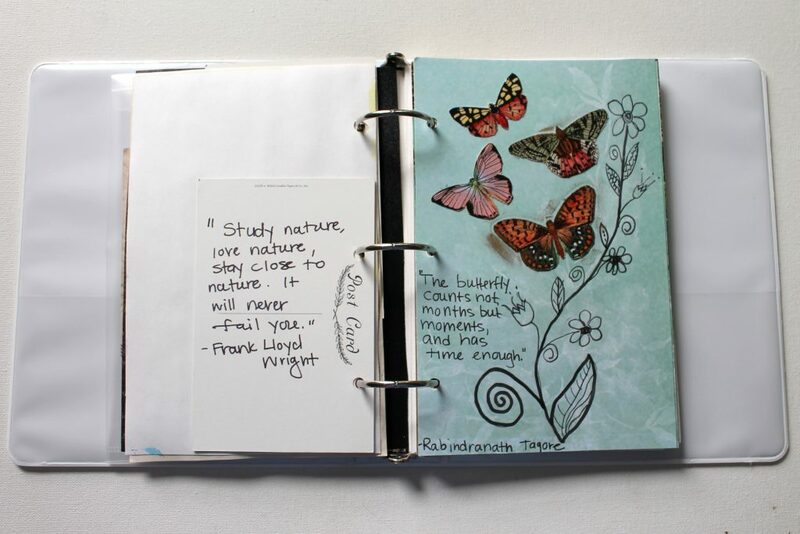 I shared my intentions and an introduction into my Mini Binder Art Journal here. Next page is a reminder of this quote in my own words. I used chalk markers to color in the flowers. 5 Good Things from this day. 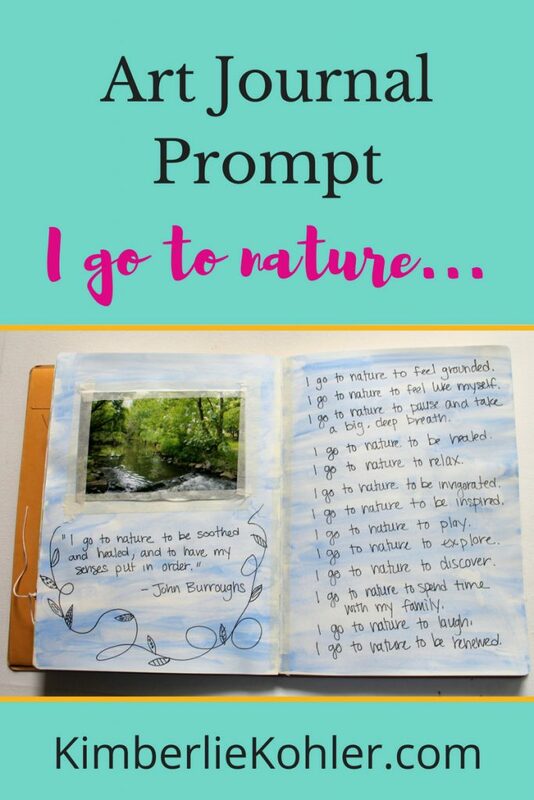 I saw someone on Instagram had this prompt in their art journal and I decided to give it a try. I taped strips of masking tape and then used watercolors to pain the stripes. After the paint dried I pulled the tape off and wrote the list. 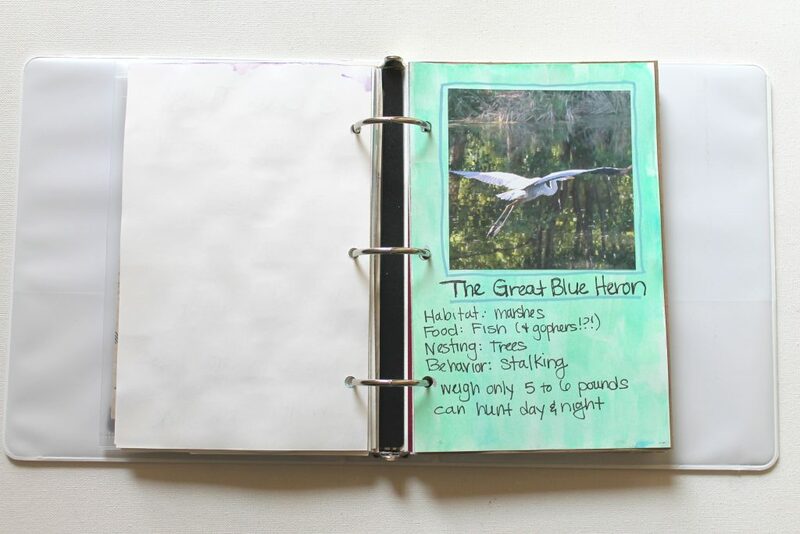 I love great blue herons, so I decided to look up some information about them and put it in my art journal. 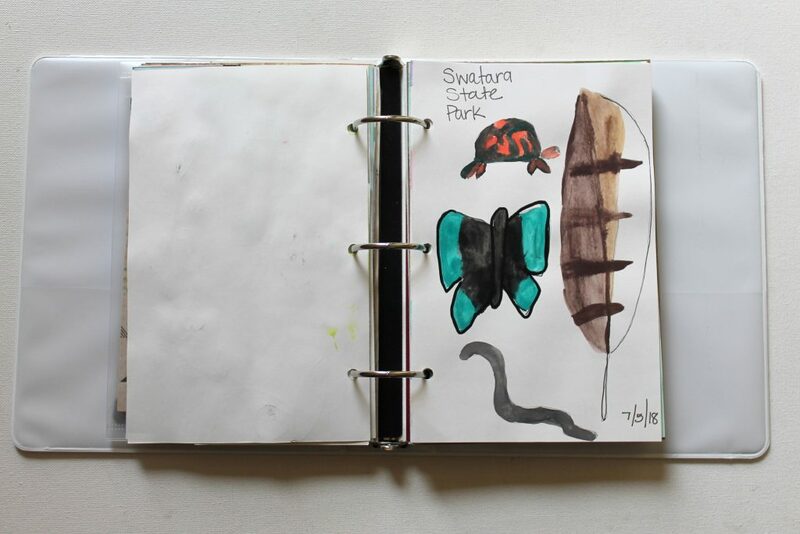 Right side: very minimalist art journal page. Background is kraft paper. I used a Project Life card and then a printed out quote. 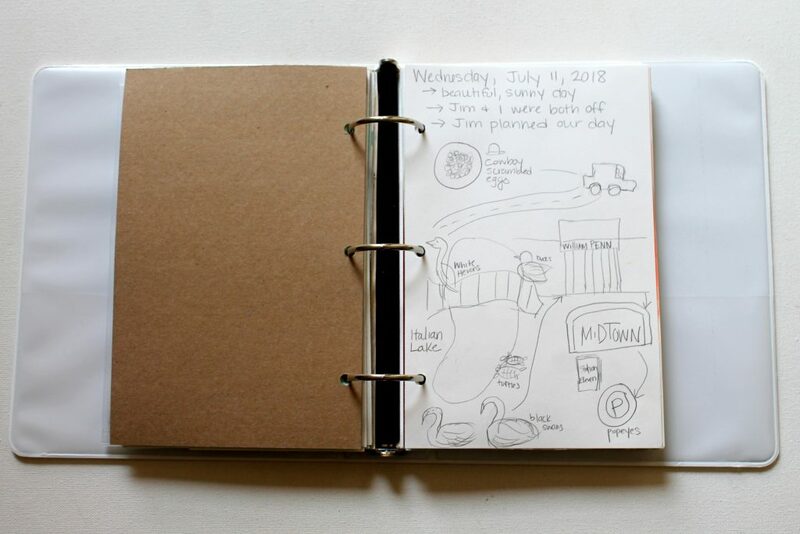 The next few pages are dedicated to one fun day I had with my husband. 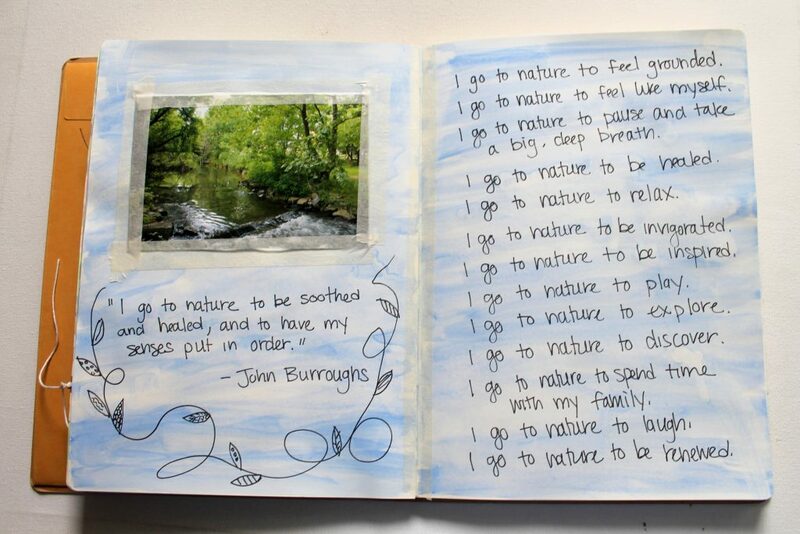 This page is a drawing of our day and what we did. Left side is a collection of receipts from the day. Right side is a few feathers I collected at the lake we visited. Background is watercolor. 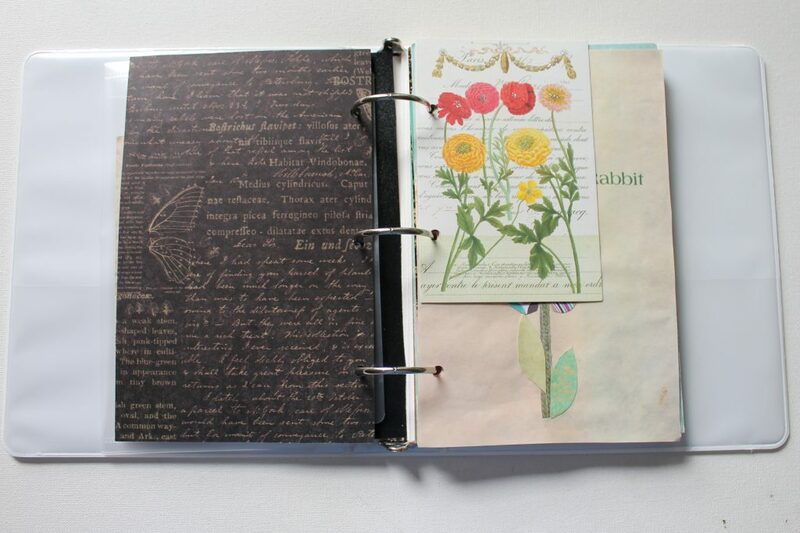 I love using everyday ephemera and collecting little memorabilia I can use in my art journal. This page was something else I saw on Instagram. 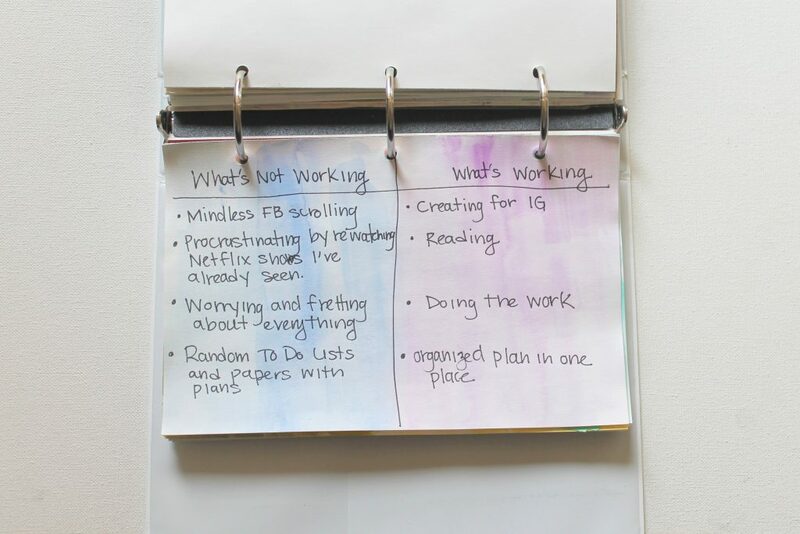 What’s working and what’s not working. Background is watercolor. 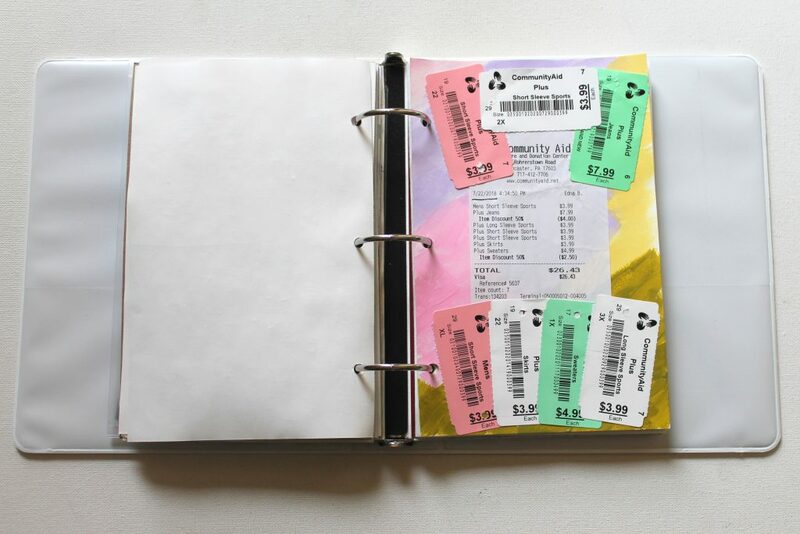 This page contains tags and a receipt from a shopping trip to Community Aid, a thrift store and charity. I love how the different colors work together. Background is acrylic paint. I had painted the page and didn’t like it, but I like it with the ephemera on top. Background is watercolor. 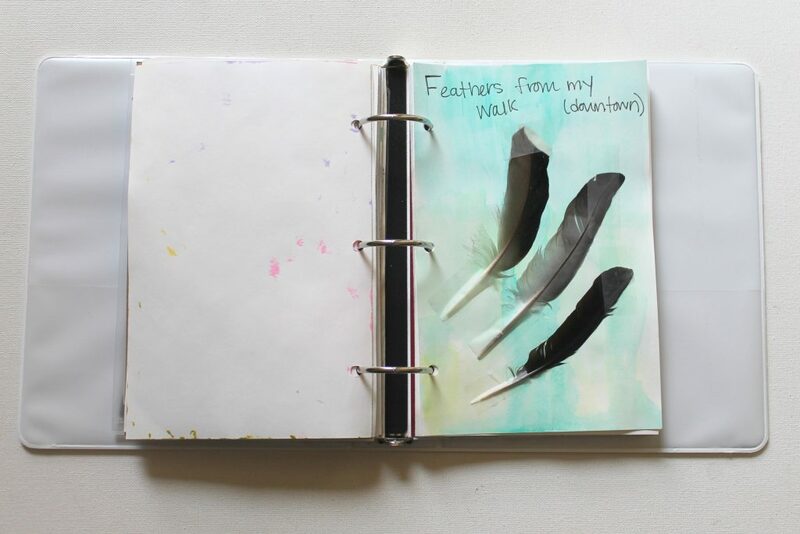 Then I added feathers I picked up during a walk around my town one day. 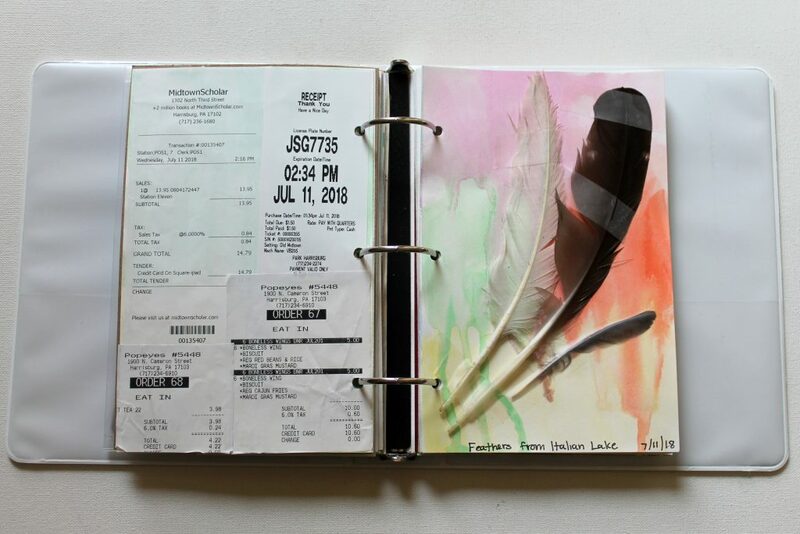 Follow along with my posts of my art journal pages on my Instagram page: @KimberlieKohler I try to post daily, but sometimes I’m not quite as consistent. I love the wire wrapped loop chain. I think it looks so dainty and pretty with a little touch of edginess. It’s sturdy for all of your chain needs. 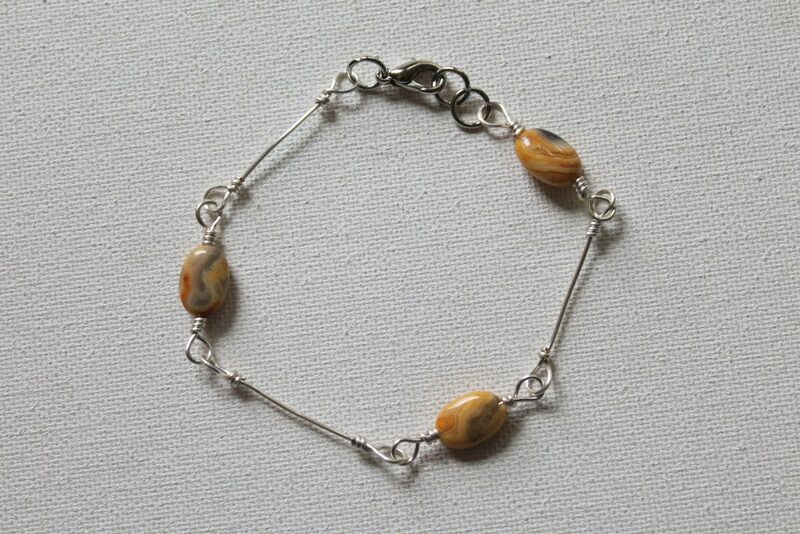 So today I have another variation, the Wire Wrapped Loop Chain and Bead Bracelet. 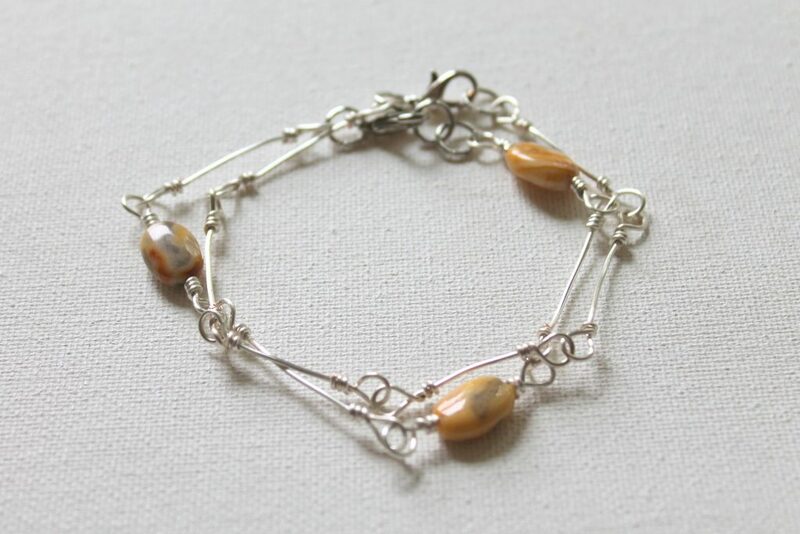 We’ll interconnect wire wrapped bead links with the links from the chain and make a lovely bracelet. I like wearing my bracelets stacked, a bunch of favorites on my wrist. Today’s bracelet and last week’s wire wrapped chain loop bracelet go together really well. 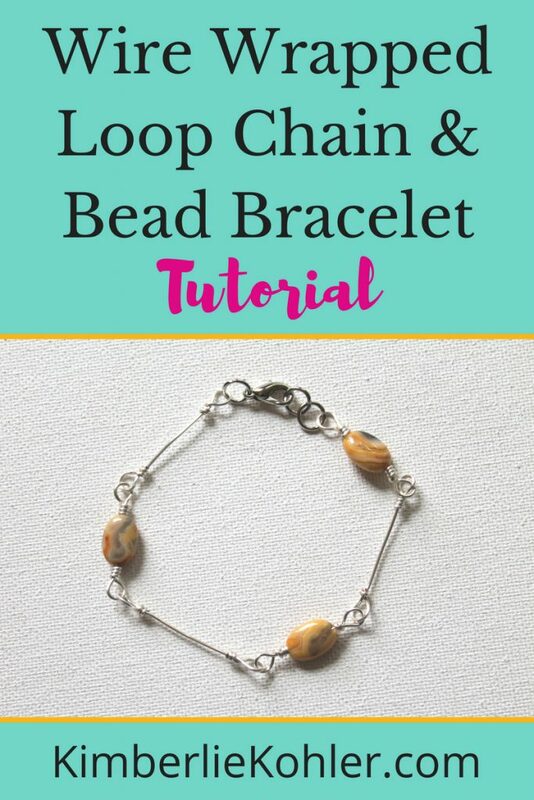 You can find all kinds of bracelet tutorials here on my blog for inspiration. I hope you found it inspiring! Give it a try and let me know what you think. 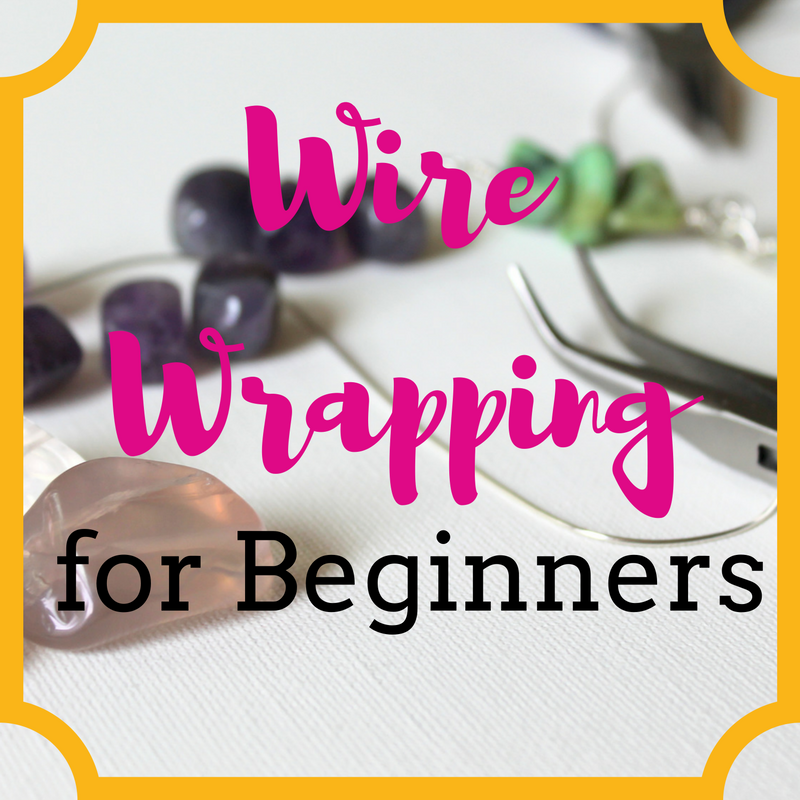 If you love working with wire and want a comprehensive course with wire findings and components + recipes for jewelry pieces that you can put together in endless ways, you would love Wire Wrapping for Beginners eCourse! 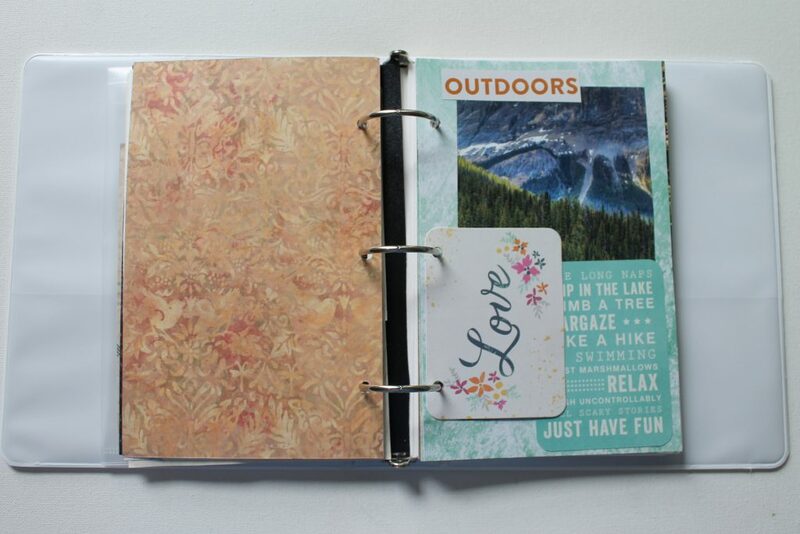 I’m a week in with my Mini Binder Art Journal and I have art journal pages to show you. 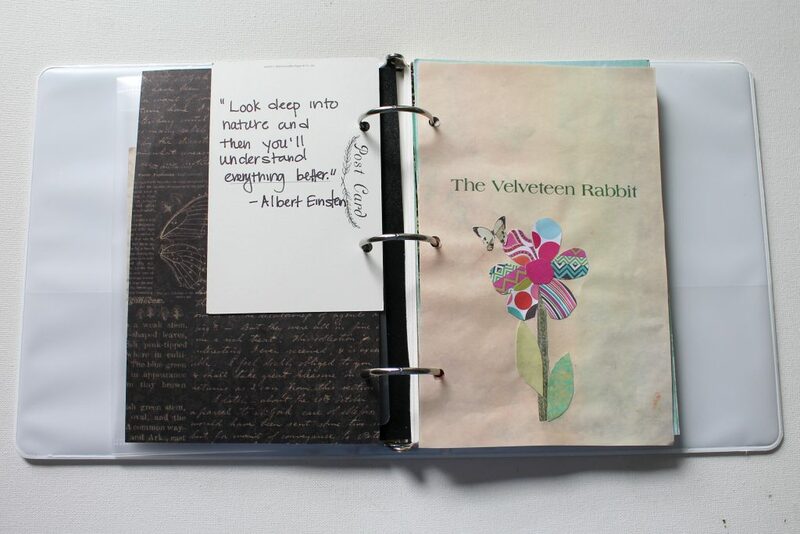 The title page taken from an old (beat up) copy of The Velveteen Rabbit that I did a collage on. Back page from the title page. 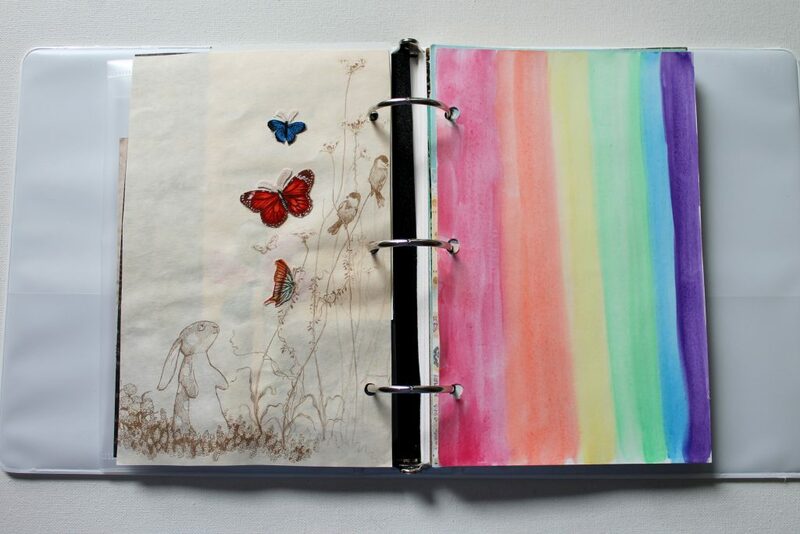 The illustration is from the book, but I added the colorful fabric butterflies. 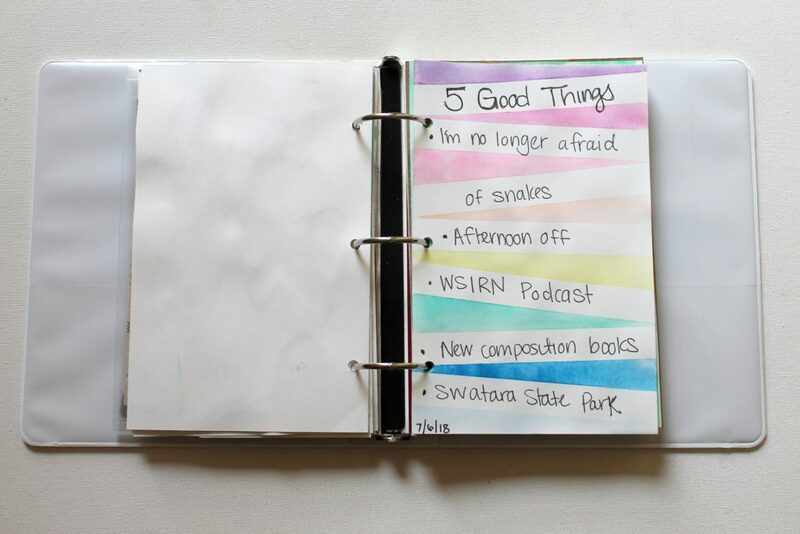 The next page is rainbow stripes of watercolors. Collage with scrapbook paper, magazine clippings and another Project Life card. 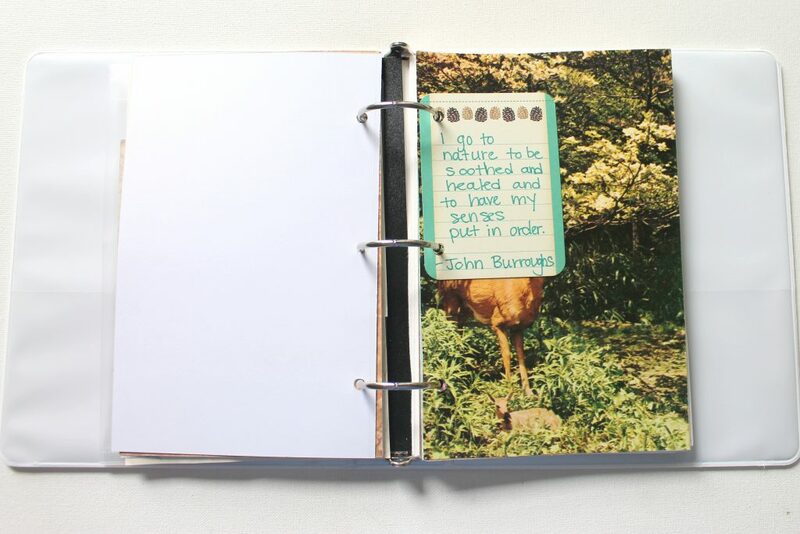 *Click here for a post about this art journal prompt. 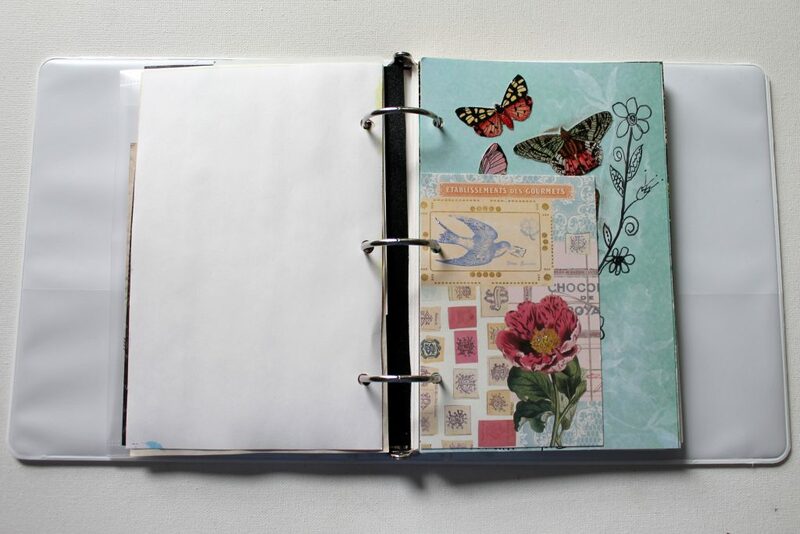 The next page has a watercolor background with a collage of paper strips. 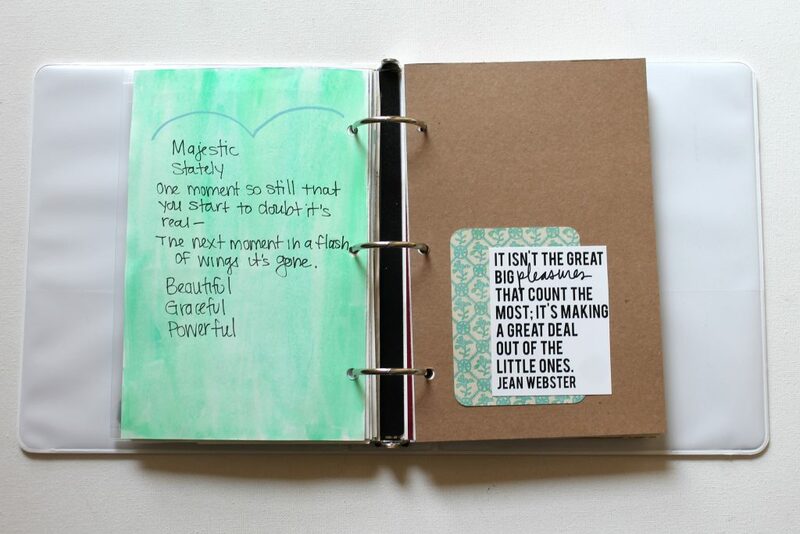 I also added in a section for quotes and ideas that I can jot down and have in one place as they come to me. 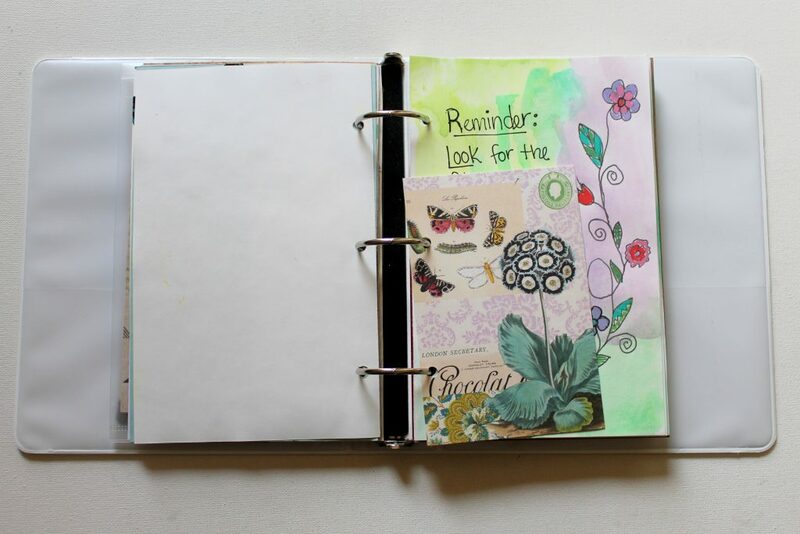 Creativity begets more creativity, so I just wanted to be able to capture ideas as I’m working in my art journal. 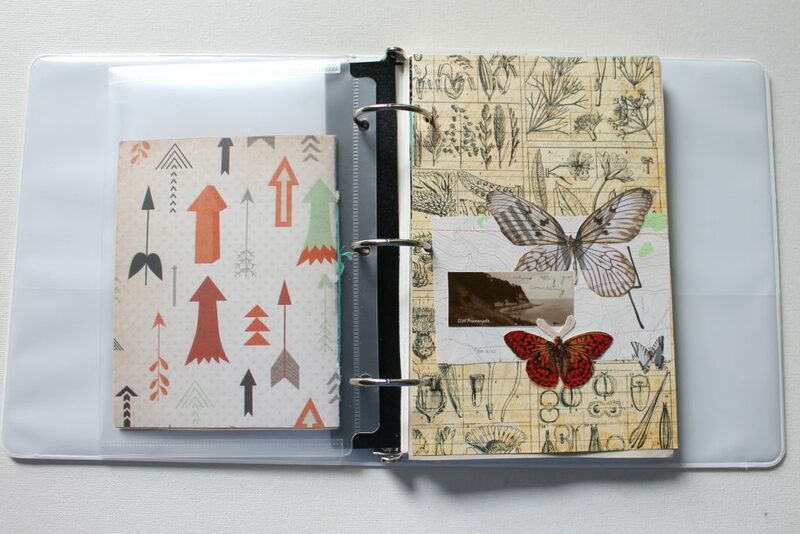 Lately I’ve been working in my Mini Binder Art Journal a lot. In it I’ve just been playing in any way I feel like each day. 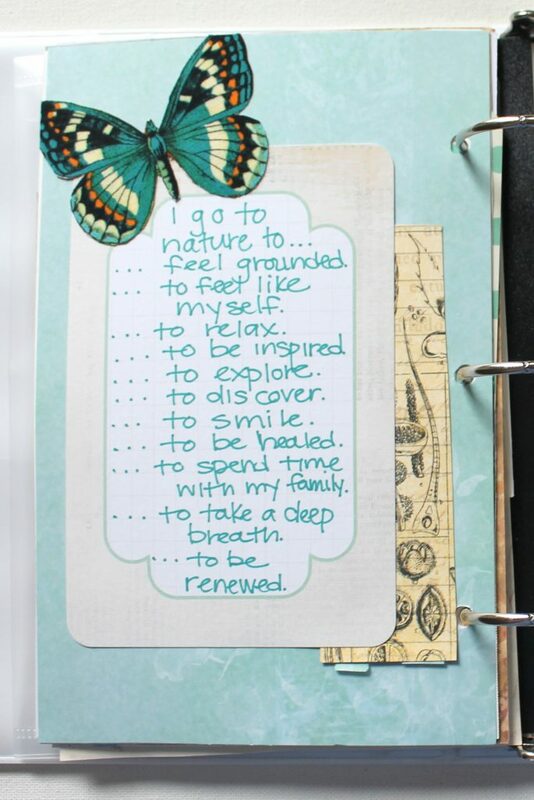 I love the freedom of the being able to add in any kind of paper I like. It’s also inspired me to think about my layout in a different way. 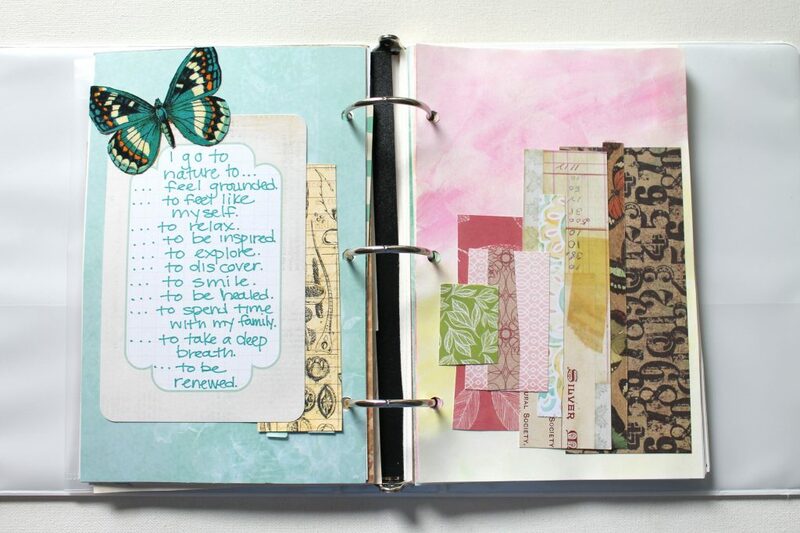 For example, I made this 2 page layout in my regular art journal. This is pretty normal for me. I like doing 2 page spreads. 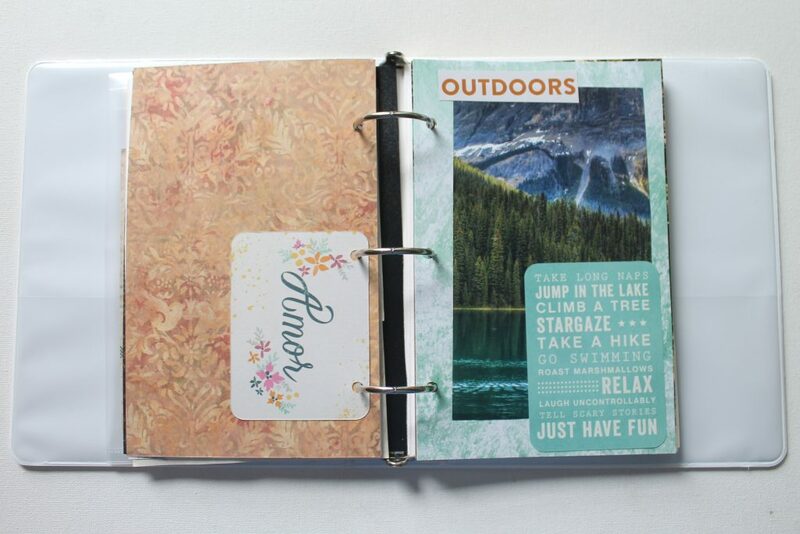 But I used the same prompt in a different way in my Mini Binder Art Journal. I decided to use a Project Life card to write the quote. 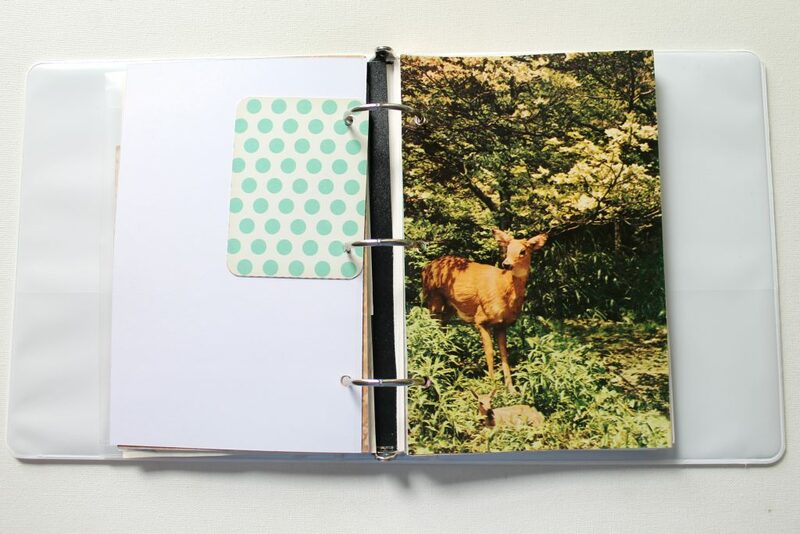 Originally I was going to place it on the page with the deer image. But it just didn’t seem to work. 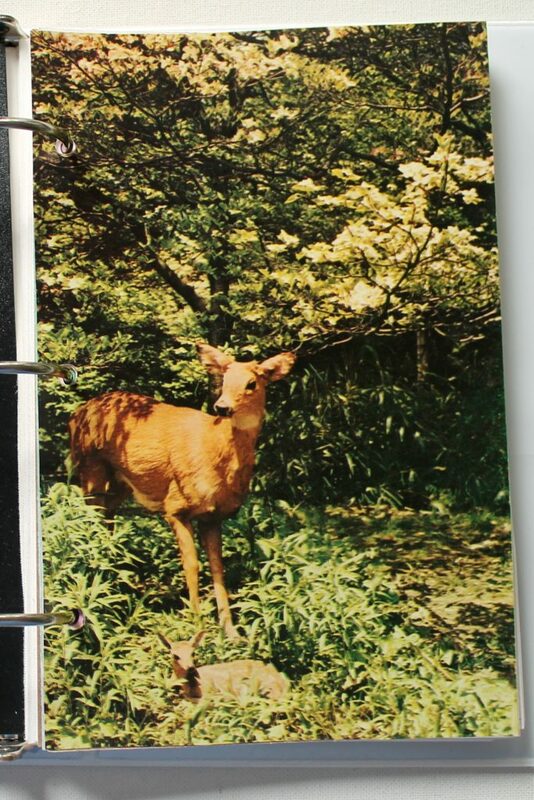 Then I realized I could just place it in before the deer image, leaving the deer image as a full page. On the back I did my journaling in response to the quote. You could use any quote or poem this way. Do you have a favorite quote? 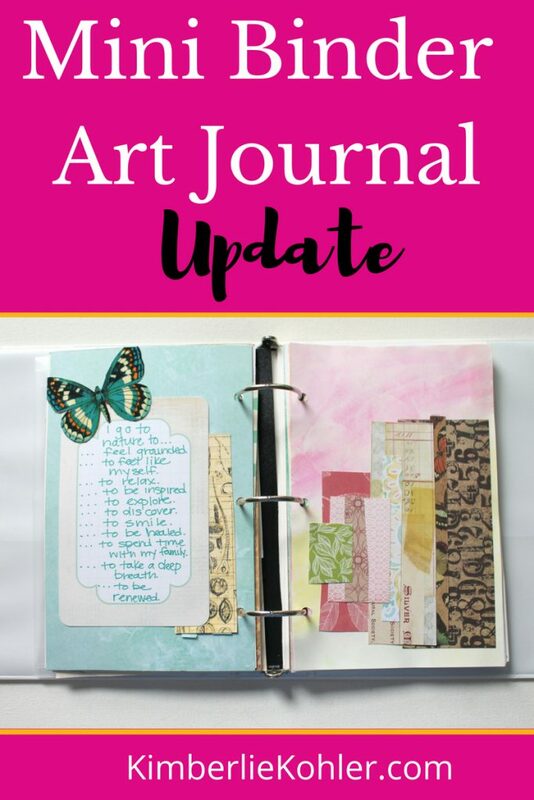 How could you use it as a jumping off point in your art journal? I have been using this chain in most of my jewelry since first coming up with it several months ago. I also wear a plain chain necklace with this wire wrapped loop chain almost daily. Sometimes just by itself, sometimes layered. 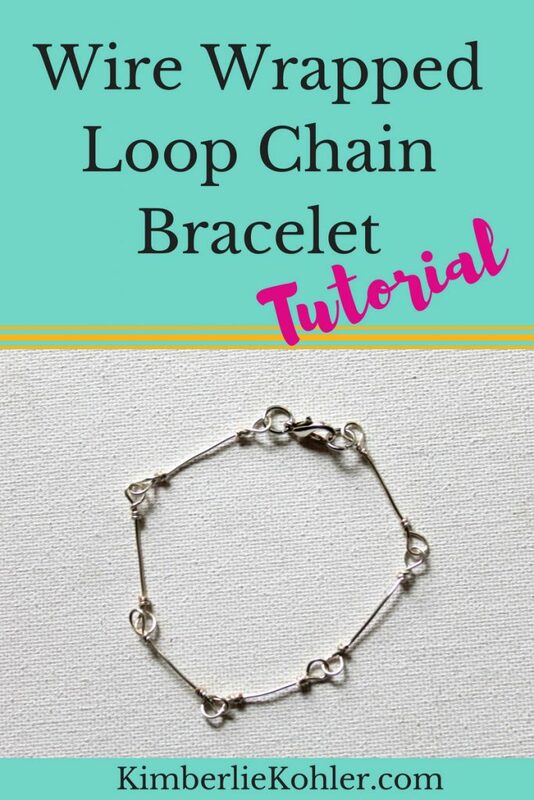 I needed to make a simple bracelet to wear as well, so I’m sharing that tutorial here today. 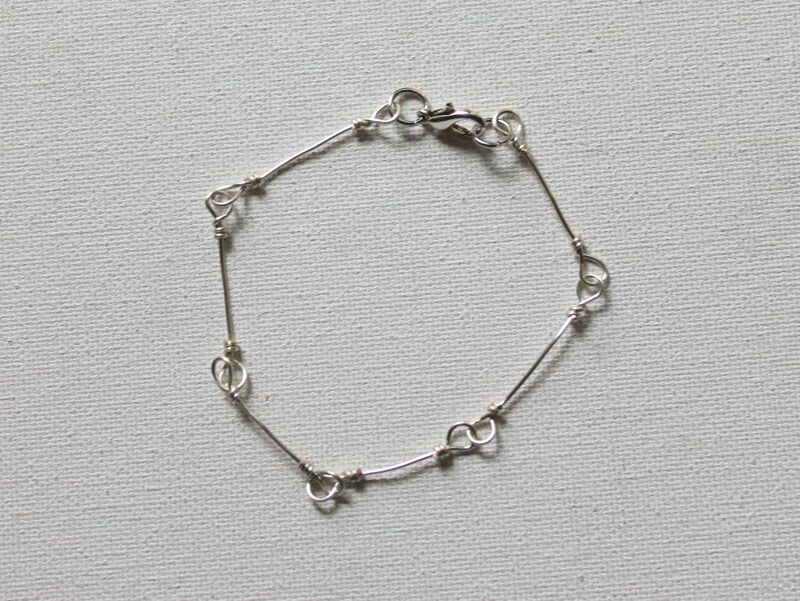 Simple and sweet on its own or great when stacked with other bracelets, you’ll love this chain. 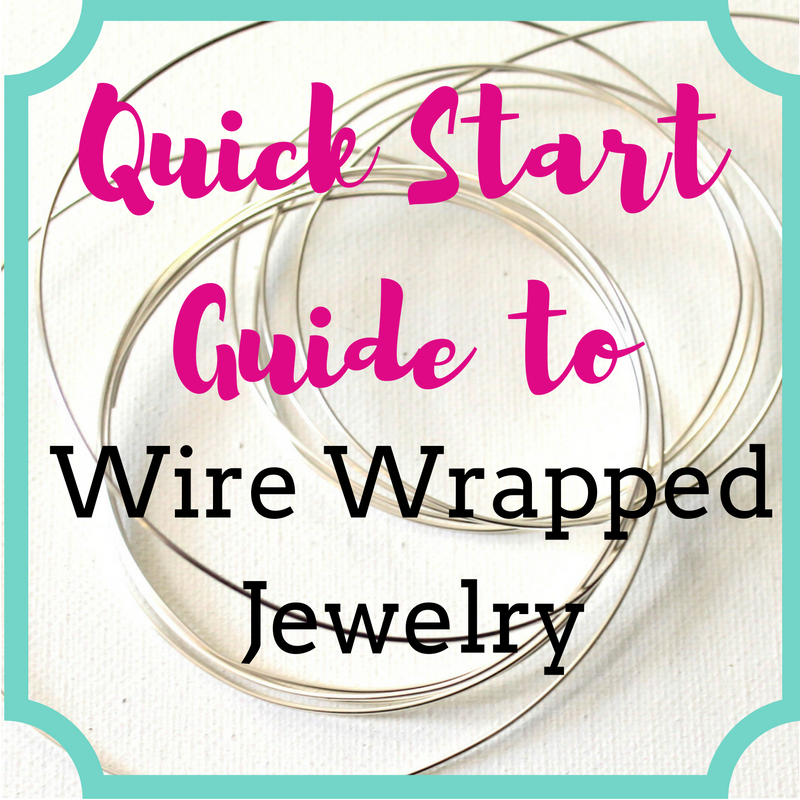 Want to dive deep into wire wrapped jewelry? Check out my Wire Wrapping for Beginners eCourse!